The “Magical Me” Ms. Rhee has caused destruction in her path from the time she burst onto the scene in DC as Chancellor of DC Public Schools, with little experience in the classroom but a lot of help from Eli Broad of the Broad Foundation. She immediately closed 26 schools and fired 266 teachers with the implication that sexual misconduct was the reason for the firings. As it turned out, one teacher was charged with sexual misconduct and the rest? Well, there’s nothing like that kind of stigma to hinder your career path. 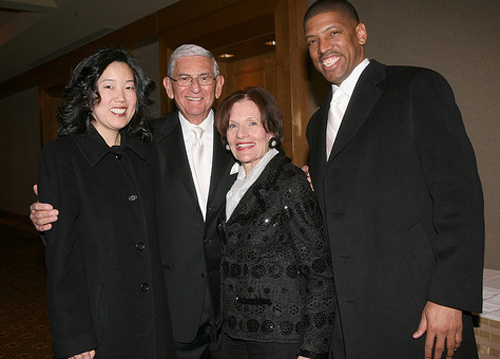 From left to right: Rhee, Eli Broad, Edythe Broad and Rhee’s husband Kevin John, another piece of work. Seventy five teachers were called back from another round of firings after a suit was filed by the DC teachers’ union. 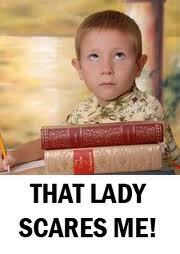 No formal reason was ever given for the firings and the teachers were re-hired and received two years of back pay. 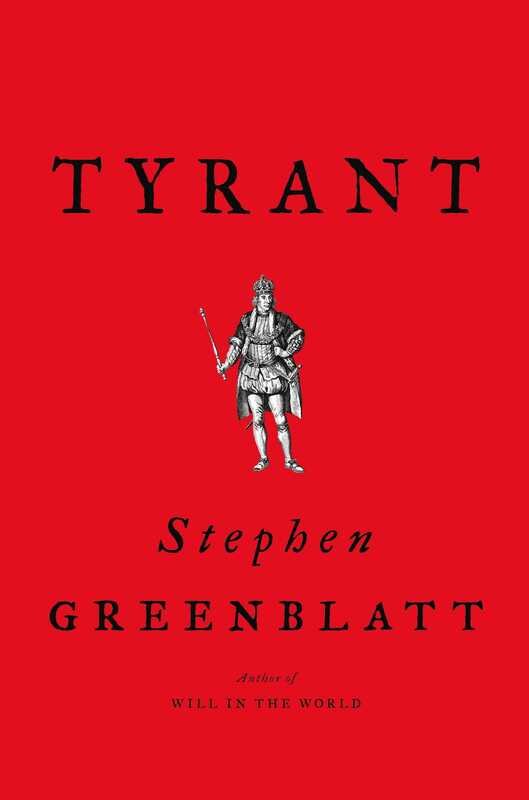 In the meantime, students and their communities were thrown into chaos and turmoil. The results of her corporate style (“Broad style”) approach came to nothing. Test scores, the end all and be all for the privatizers, didn’t budge. There was also that cheating scandal that never seems to go away as much as Rhee, Henderson, Broad, et al would like to see it disappear. Rhee’s successor and long time buddy, Kaya Henderson, announced that Ms. Rhee had nothing to do with the cheating scandal. The jury is still out on that one. One story that Rhee used to share during her speaking engagements was the time when, as a Teach for America recruit, she didn’t know how to keep her students quiet. She goes on telling the story, mimicking the African American students in a highly derogatory manner, how she taped the mouths of the students so that they would be silent in the hallway. And then, how some of them cried out when she tore the tape off of their mouths. She thought it was funny. Because of that story, in several locations where Rhee’s speaking events are protested, students, teachers and parents tape their mouths in silent protest. Here’s a video of one such protest. Former DC Mayor Fenty was instrumental in bringing Rhee to DC through the efforts of Eli Broad. When Fenty was up for re-election after his first term, Broad tried to hold DC hostage by threatening to pull his contributions to DC schools if Fenty was not re-elected and Rhee did not continue as Chancellor. Broad’s threats were not heeded. A new mayor was sworn in and Rhee was out. Unfortunately, Rhee was replaced by Kaya Henderson, long time associate of Rhee’s. Now Rhee has taken it on the road, calling for merit pay based on high stakes testing and more. She has aligned herself with ALEC and uses funds she has raised through Students First to support campaigns of Neoliberals and Conservatives who support the corporate takeover of our public schools. In other words, she’s a a real piece of work. 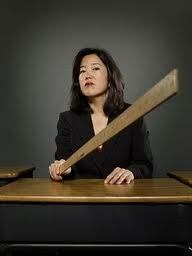 To follow are links to information about Rhee and her misadventures through Educationland. Rethinking Schools: The Proving Grounds: School “Rheeform” in Washington, D.C.
Rhee hints that her job as D.C. schools chief hinges on Fenty’s reelection: Check out the comments. She is not a popular gal in DC. Rhee’s Plan: Students (Test Scores) First! What Was Michelle Rhee’s ‘Damage Control’ for Kevin Johnson?